Daddy took Susanna and me to the Los Angeles Zoo for a Father-Daughter outing. 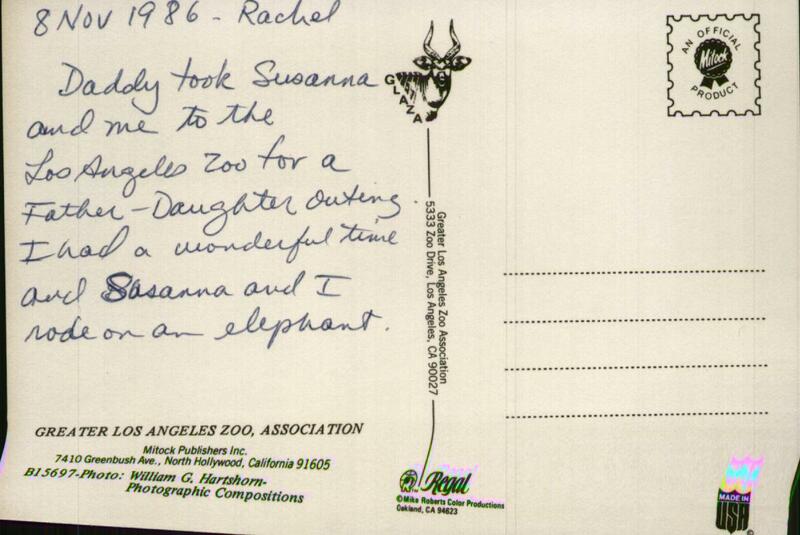 I had a wonderful time and Susanna and I rode on an elephant. 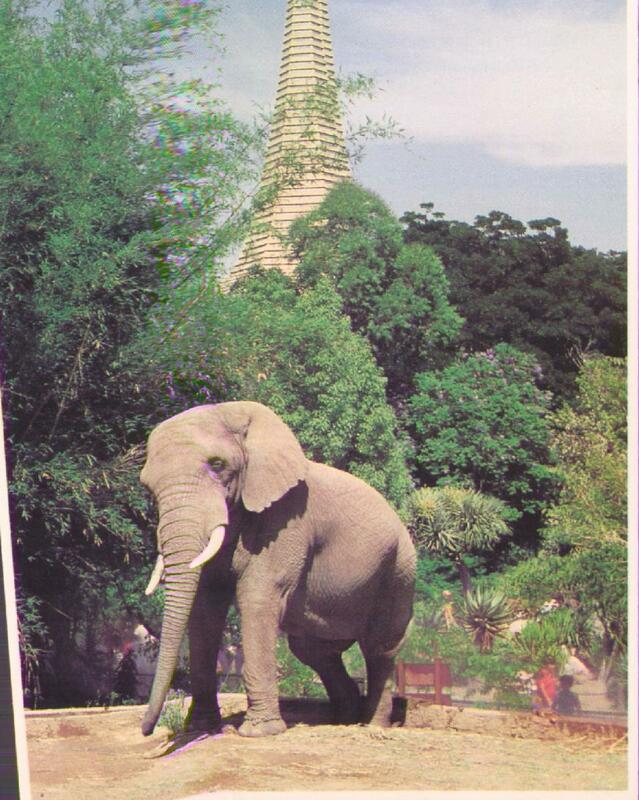 A souvenir from the last days of being able to ride an elephant in the United States.